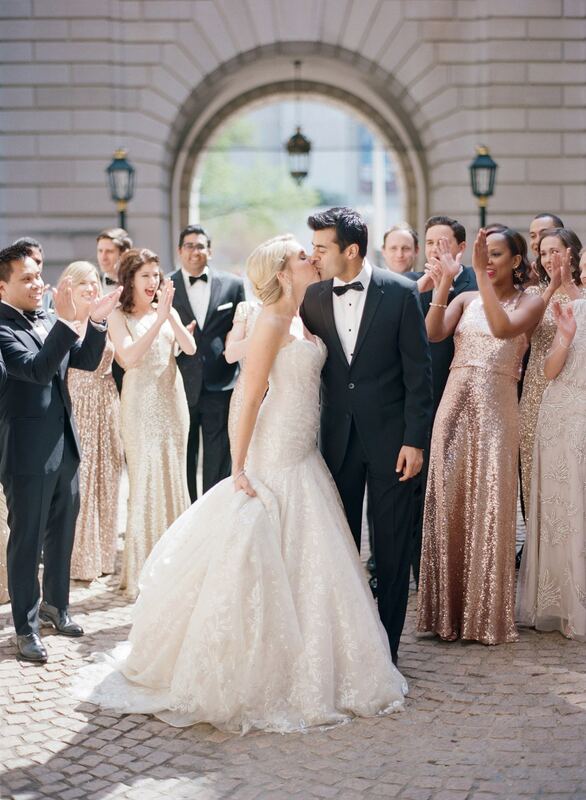 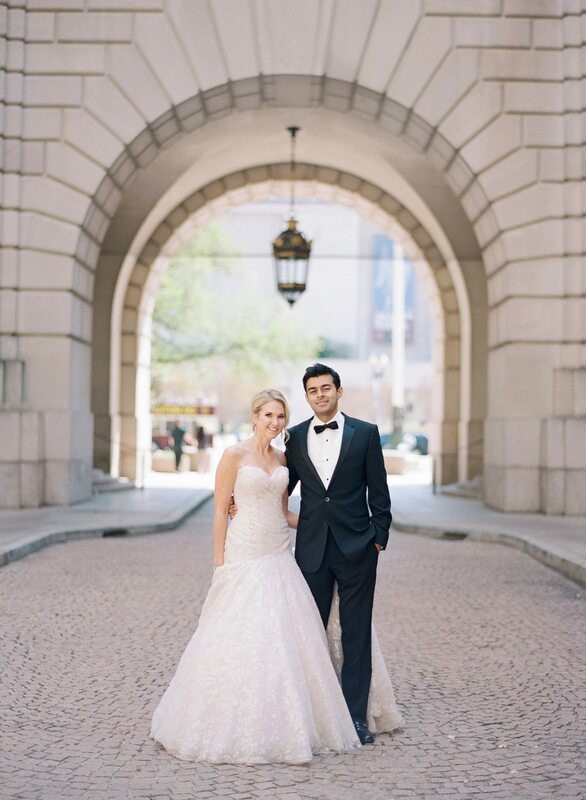 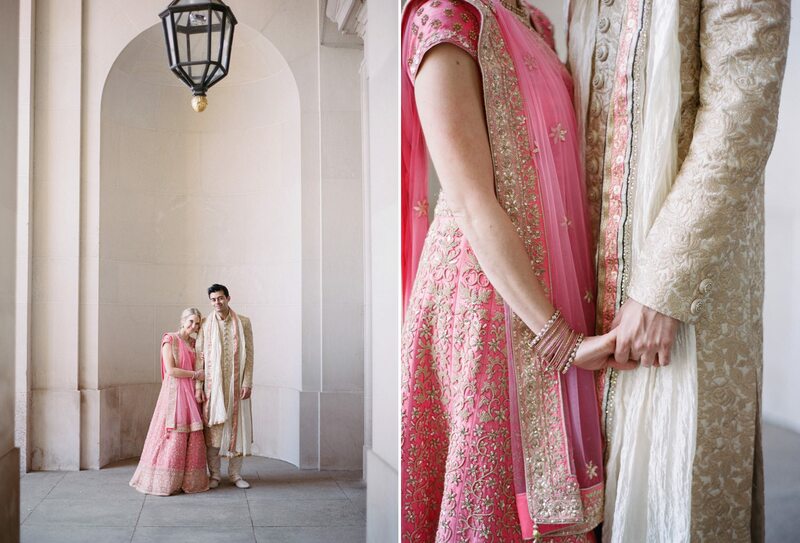 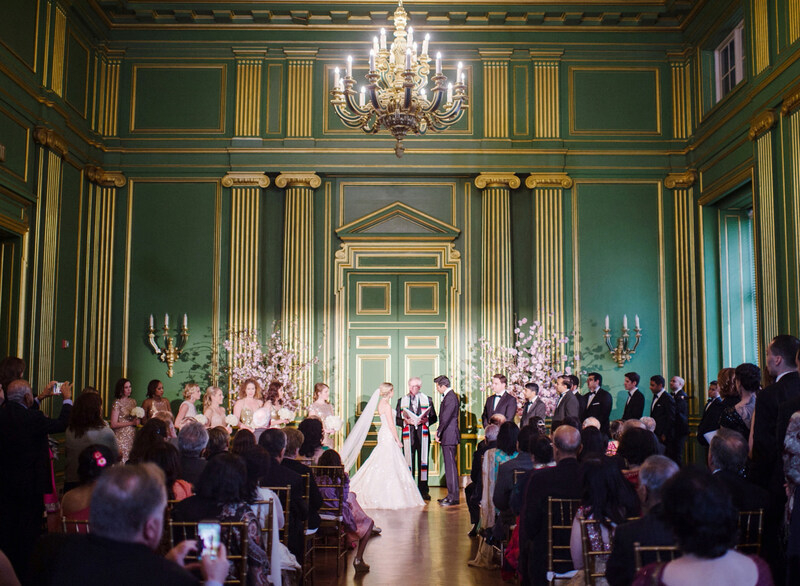 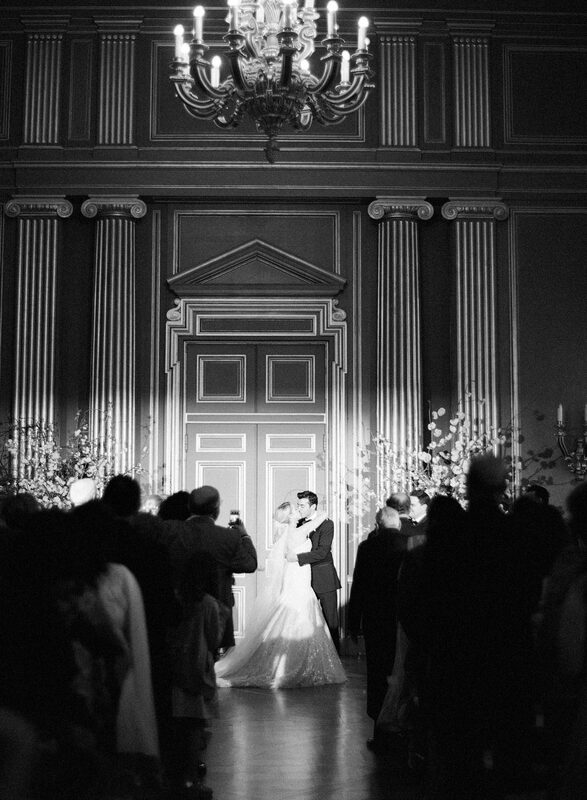 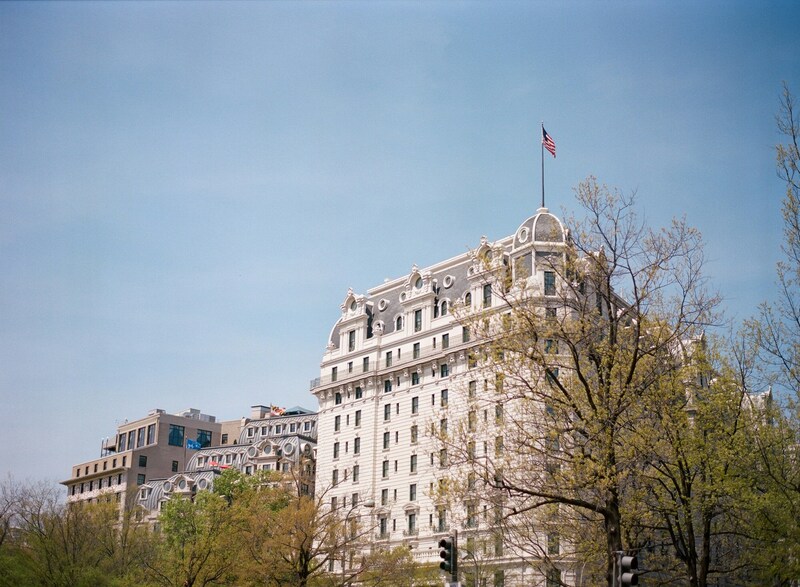 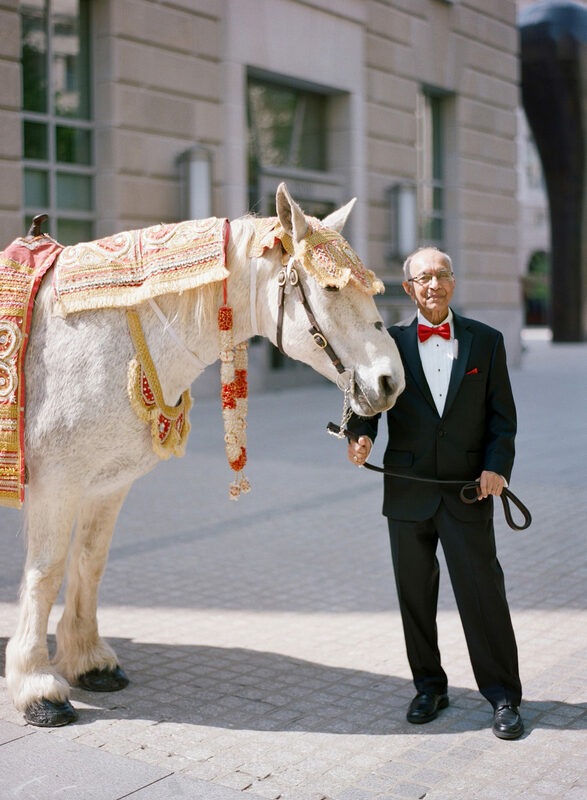 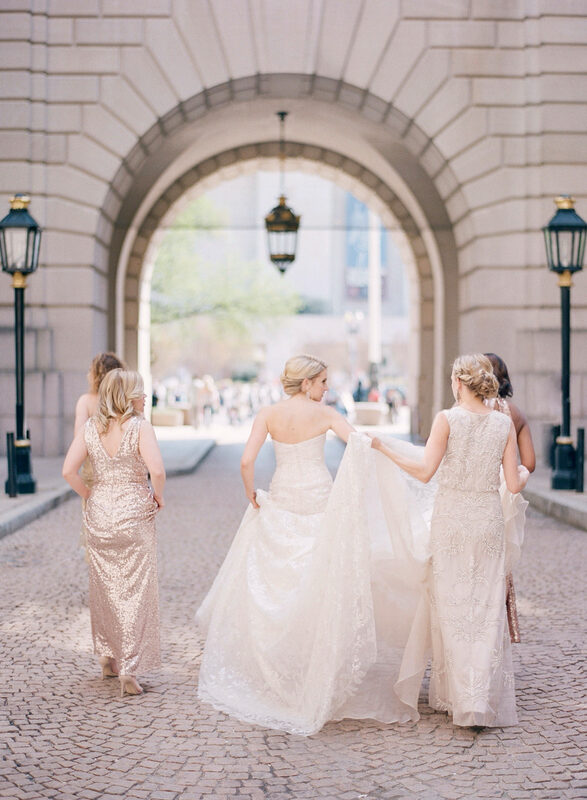 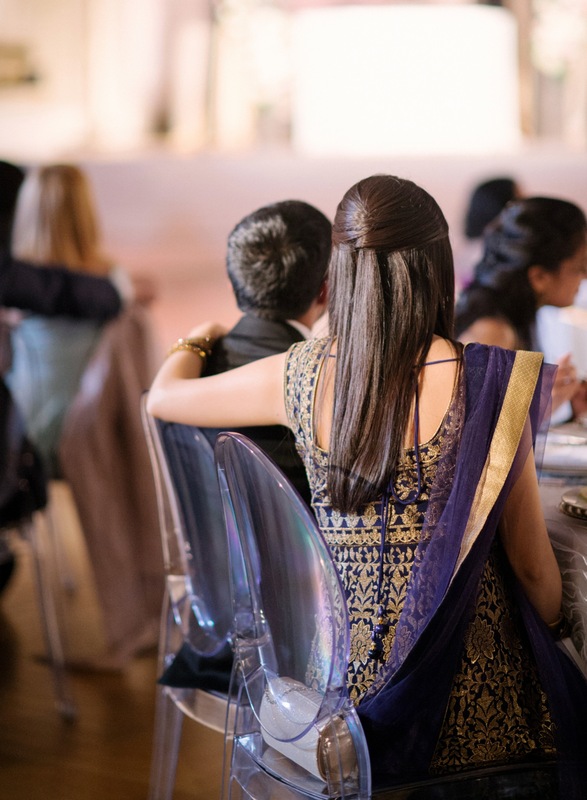 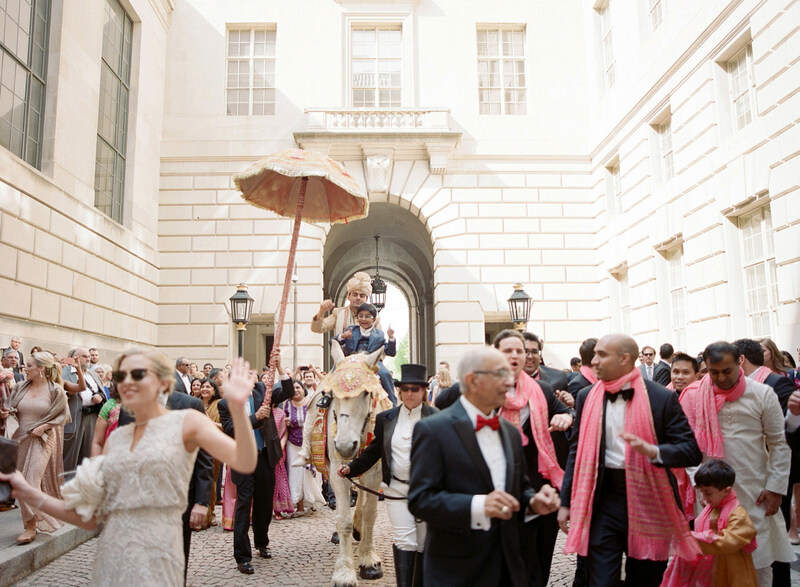 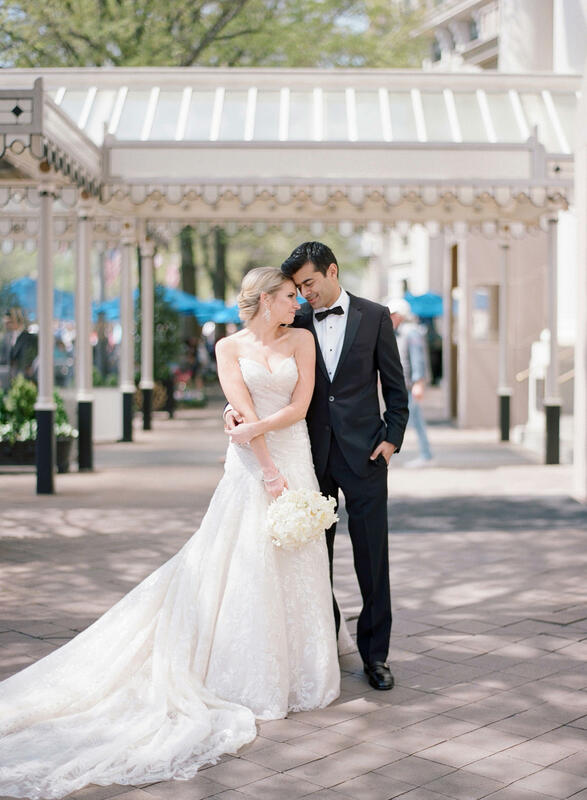 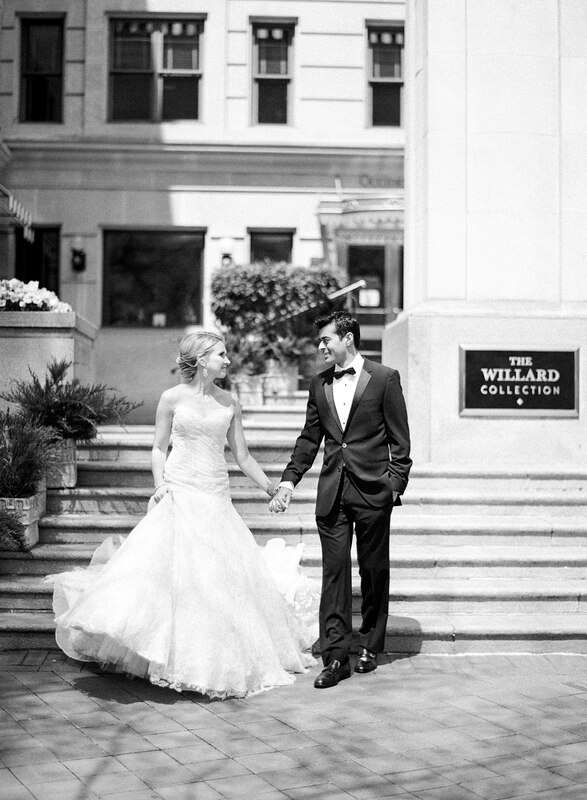 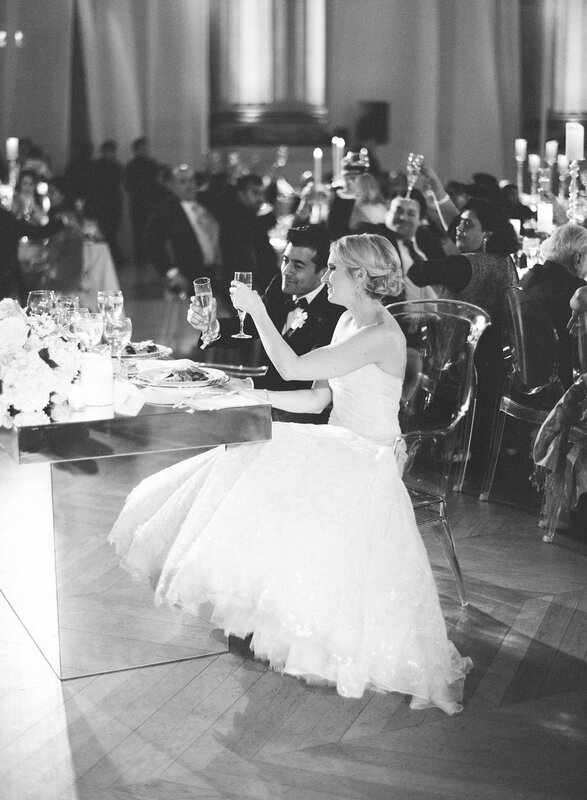 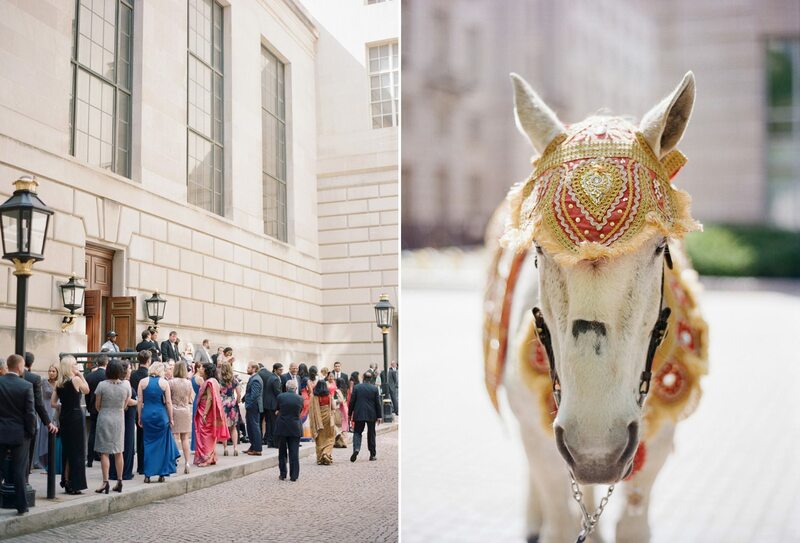 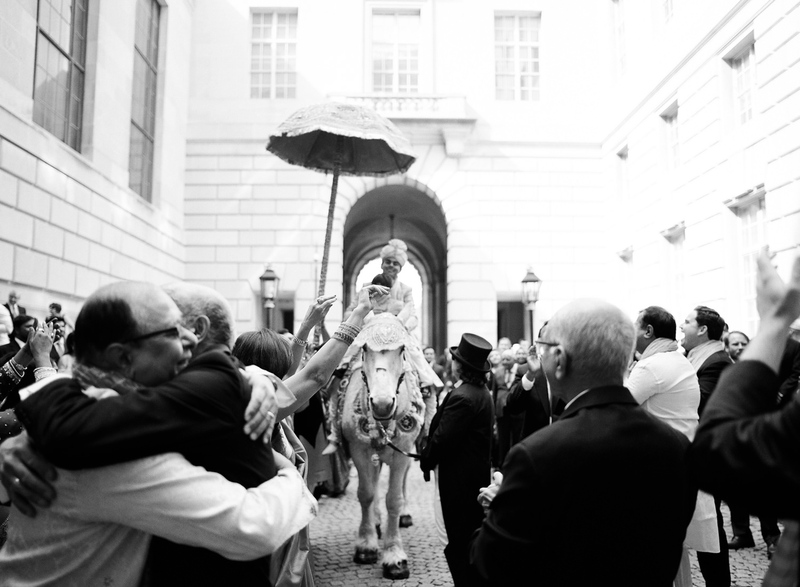 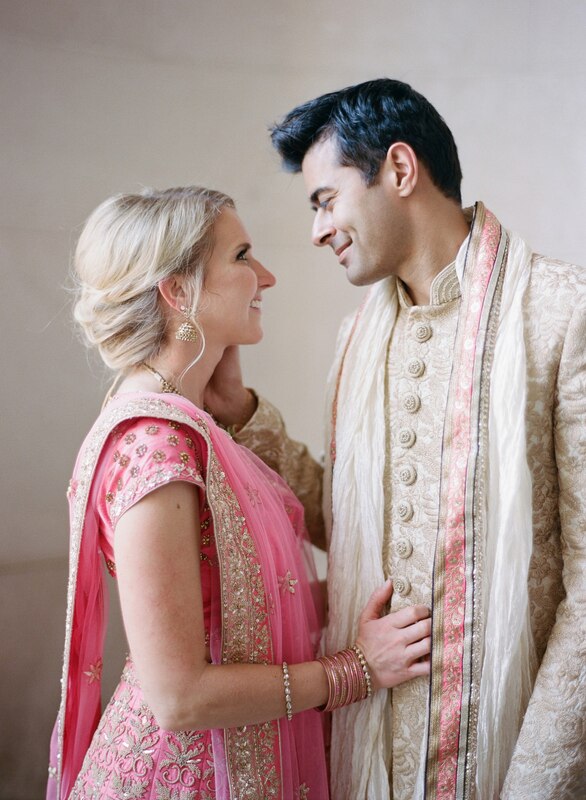 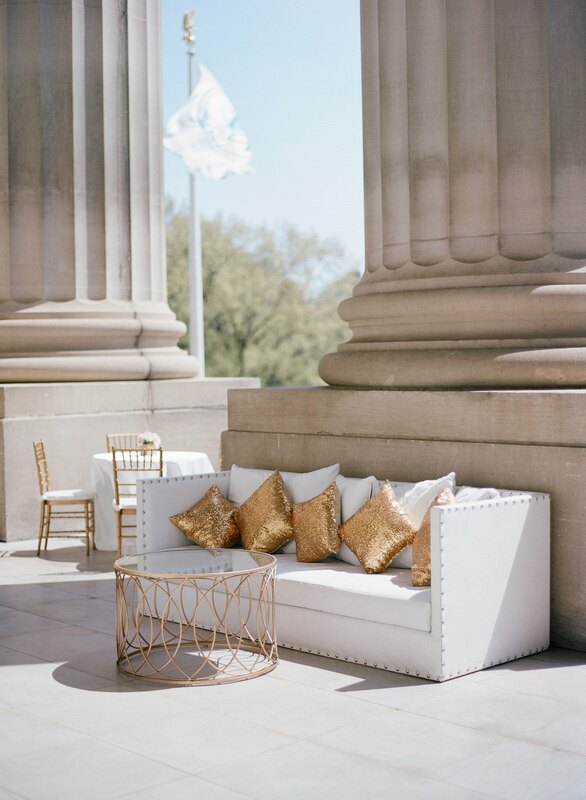 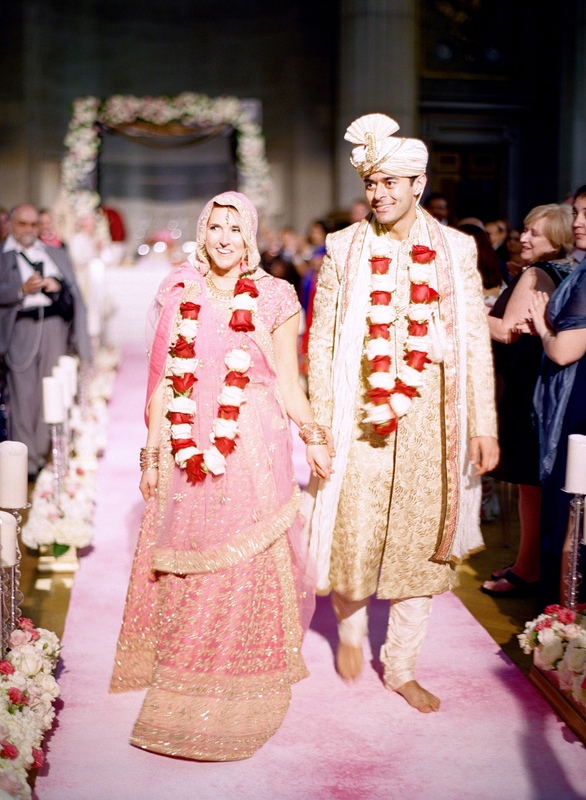 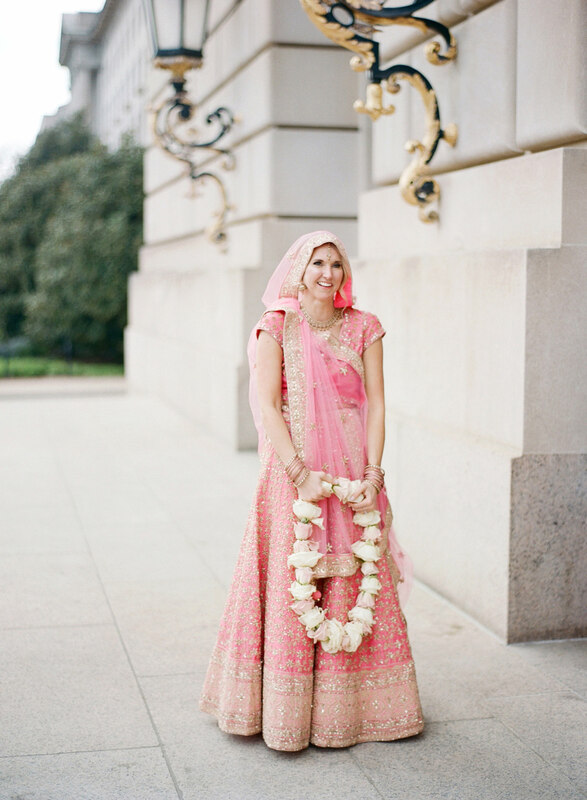 Courtney and Shaun’s Mellon Auditorium Indian Wedding was one of those celebrations that felt like it could last forever! 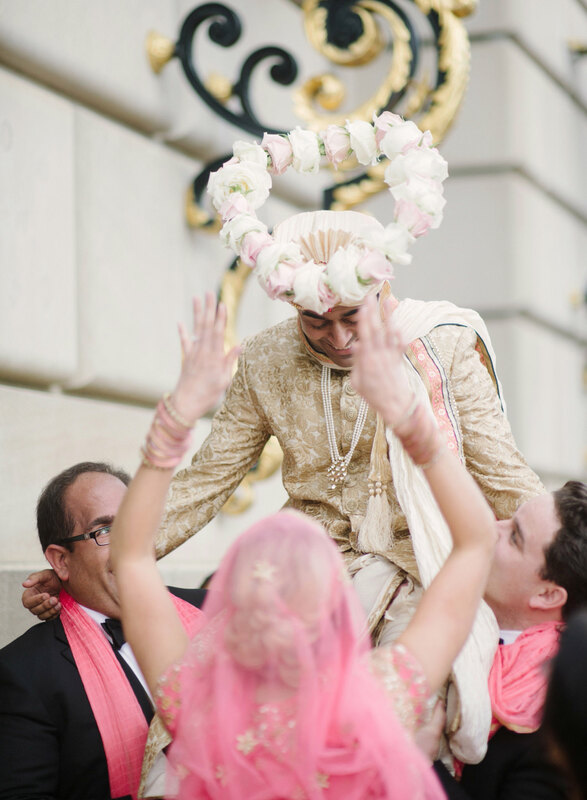 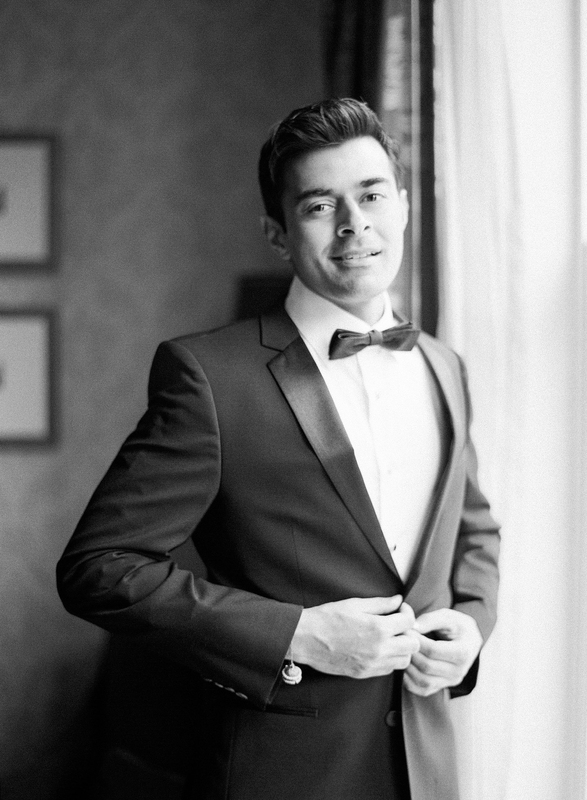 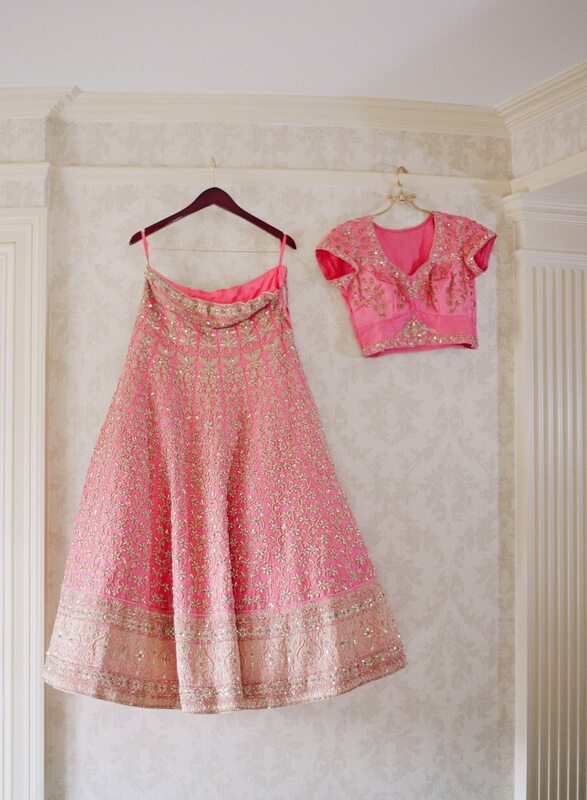 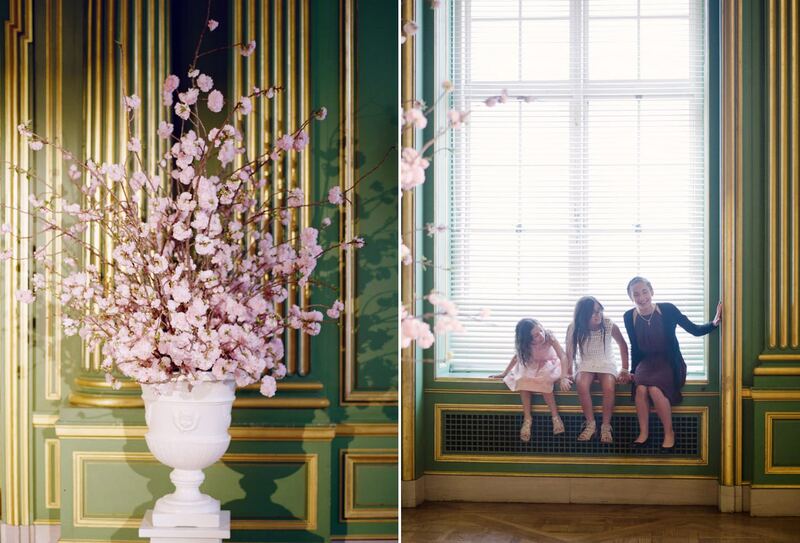 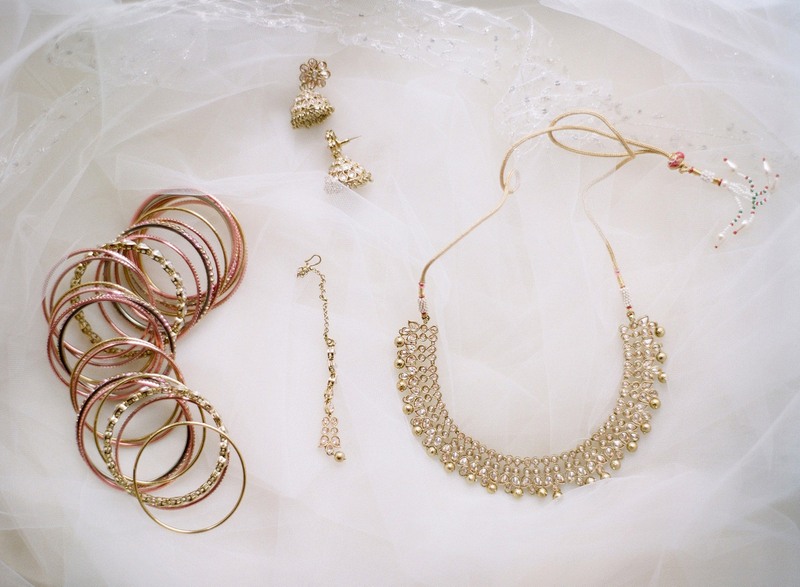 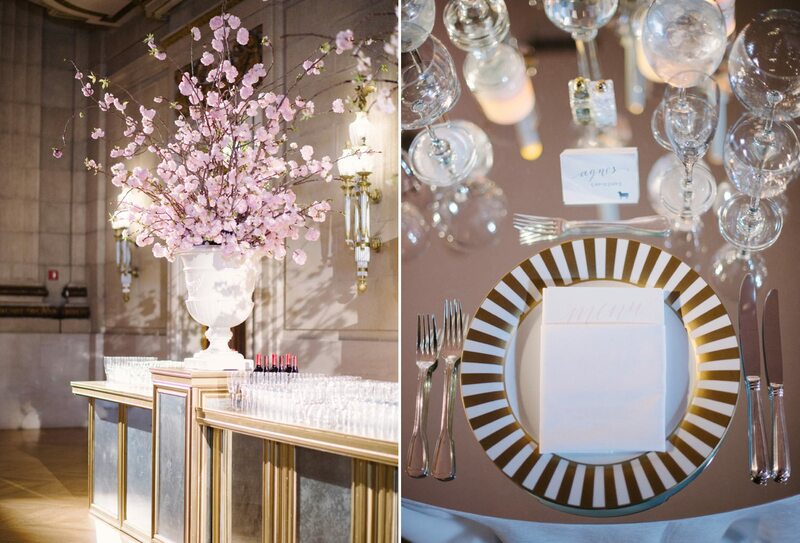 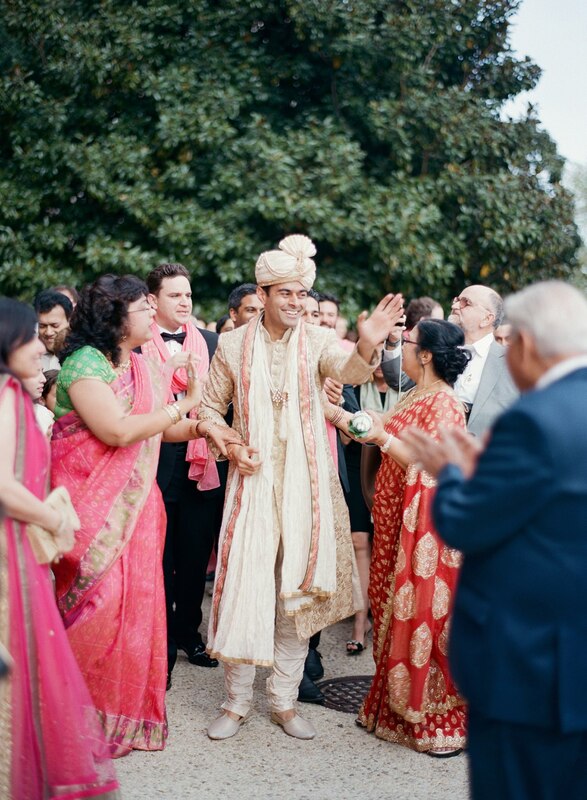 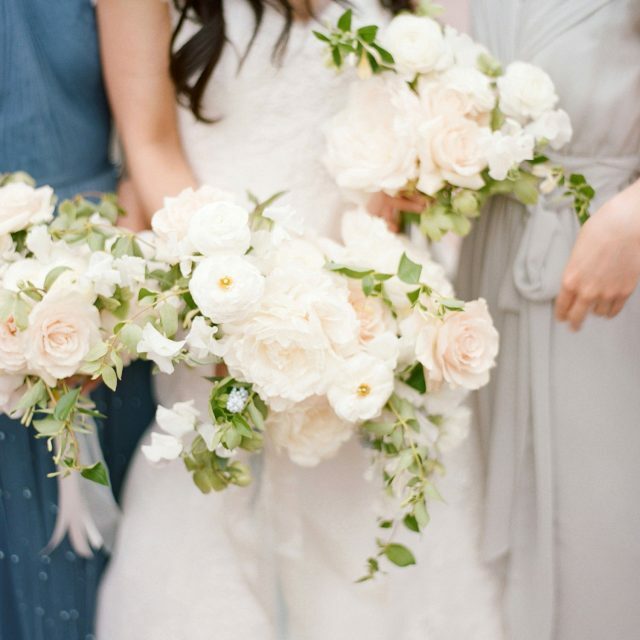 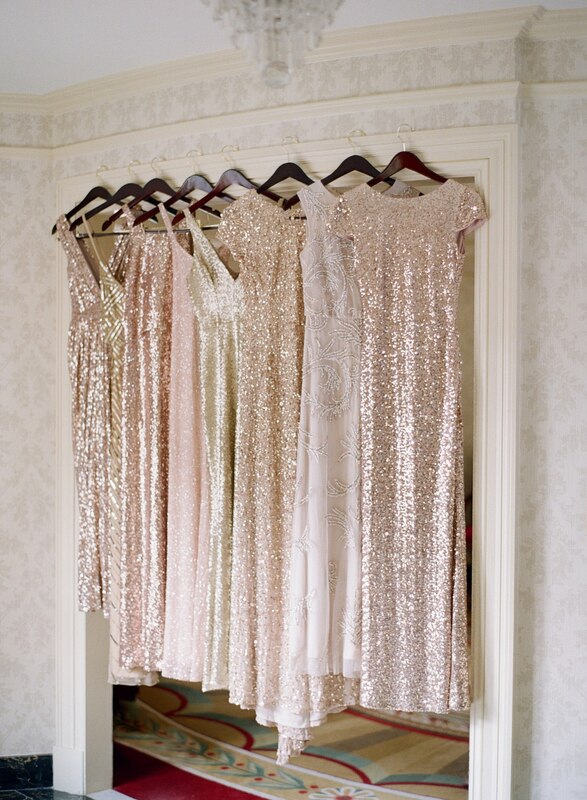 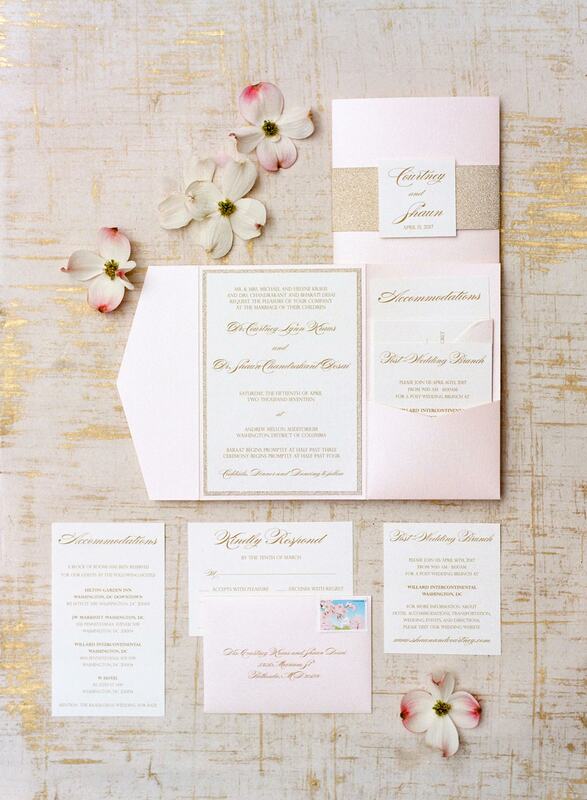 Full of cherry blossom pinks and gold metallics, the day was intricately designed by Christine Godsey from Engaging Affairs and expertly fused both Indian and Christian wedding traditions into one incredible day. 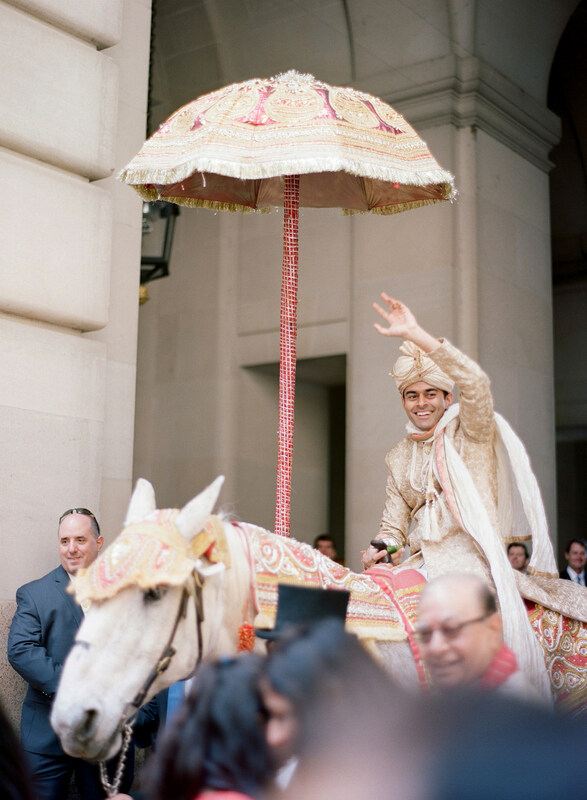 Kicking off the wedding day with a traditional Baraat where the groom rode in on a white horse, we are convinced that every wedding should be begin with this much fun! 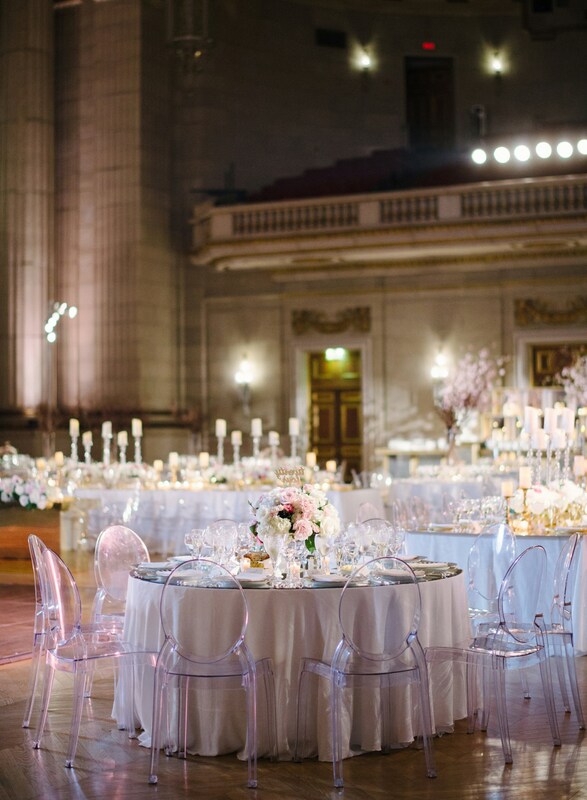 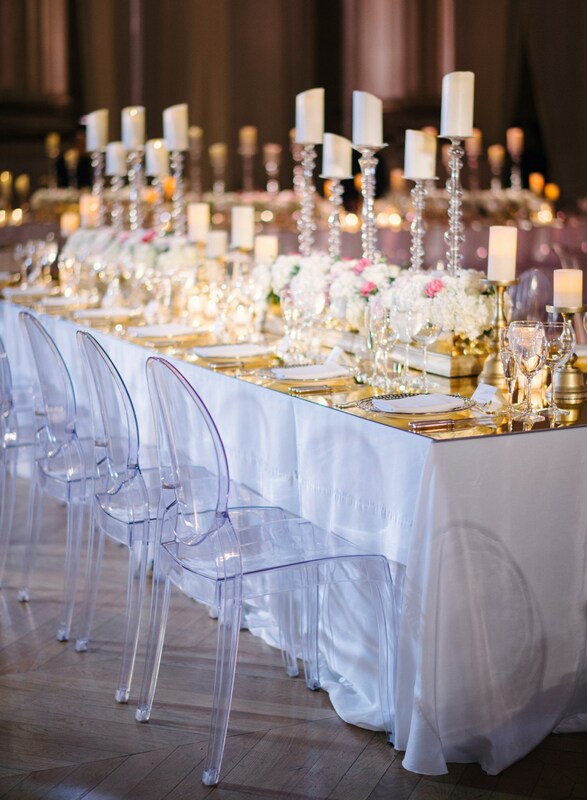 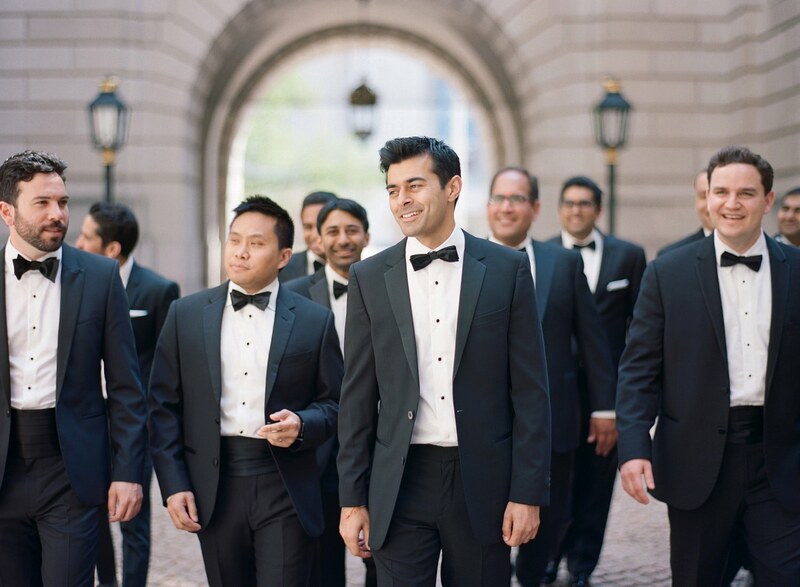 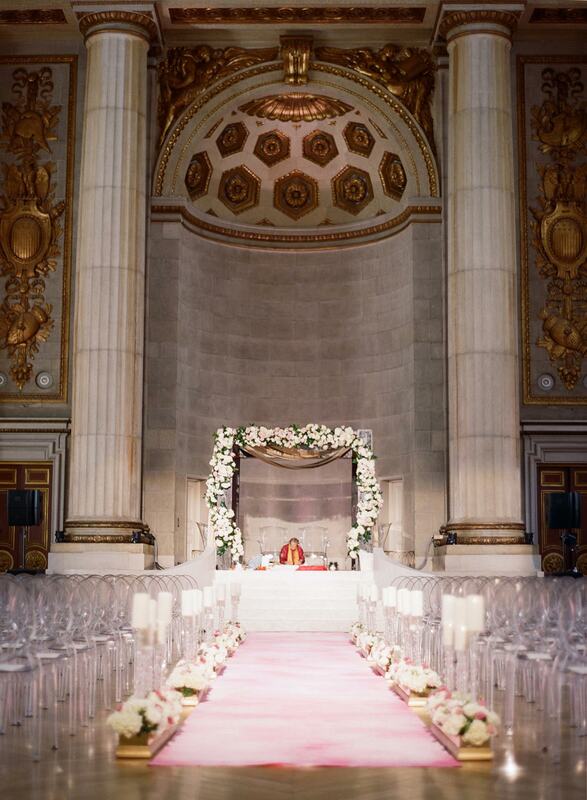 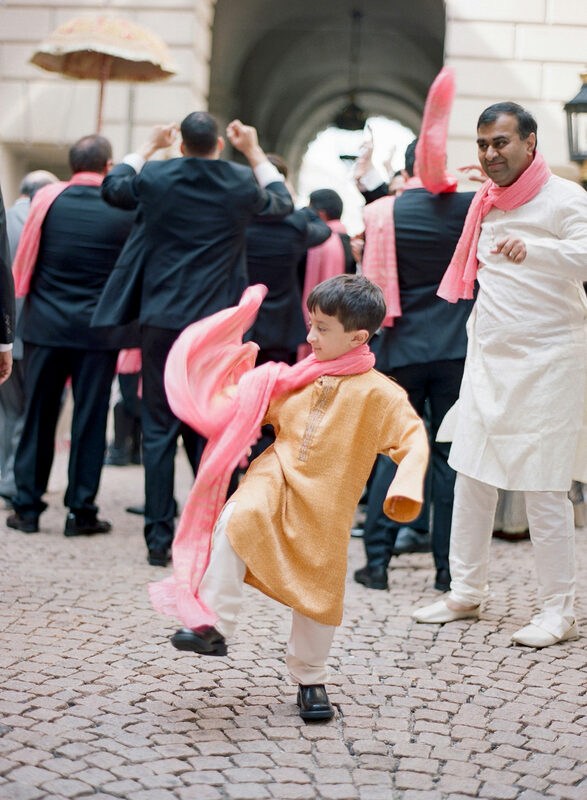 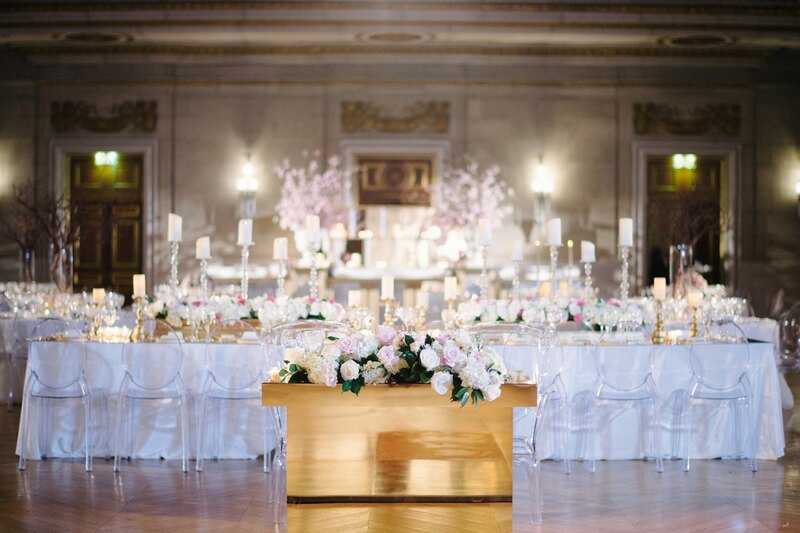 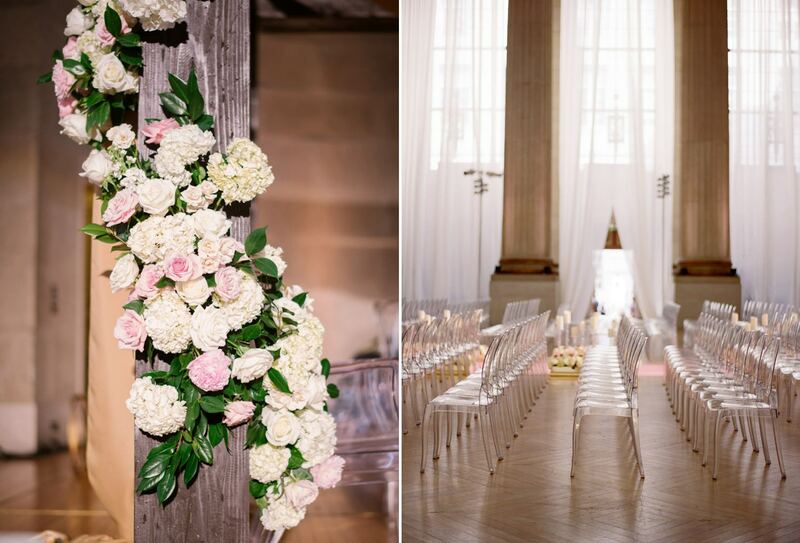 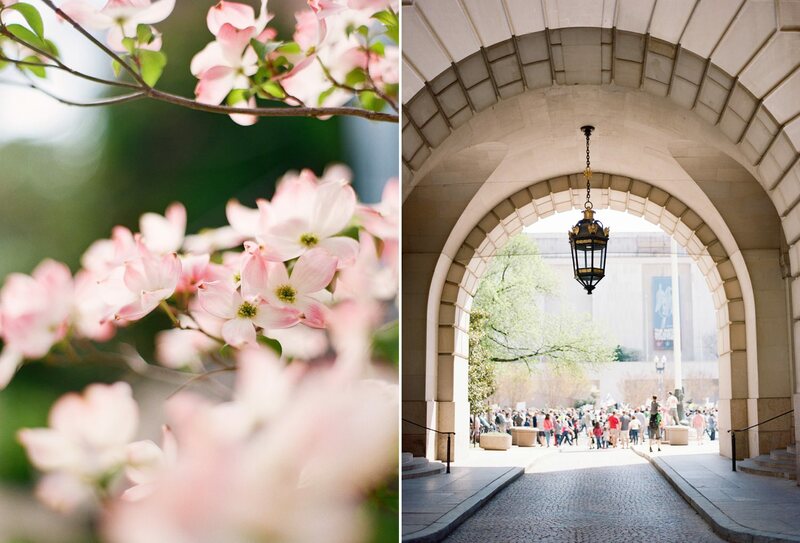 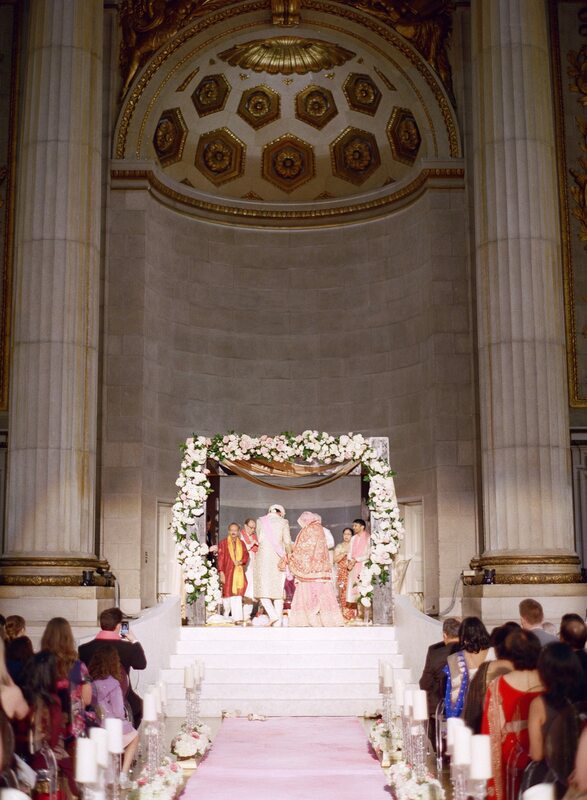 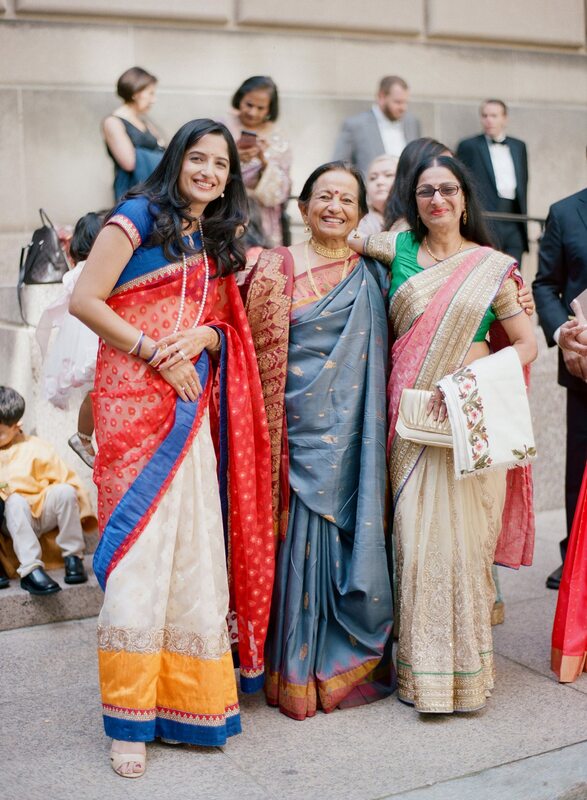 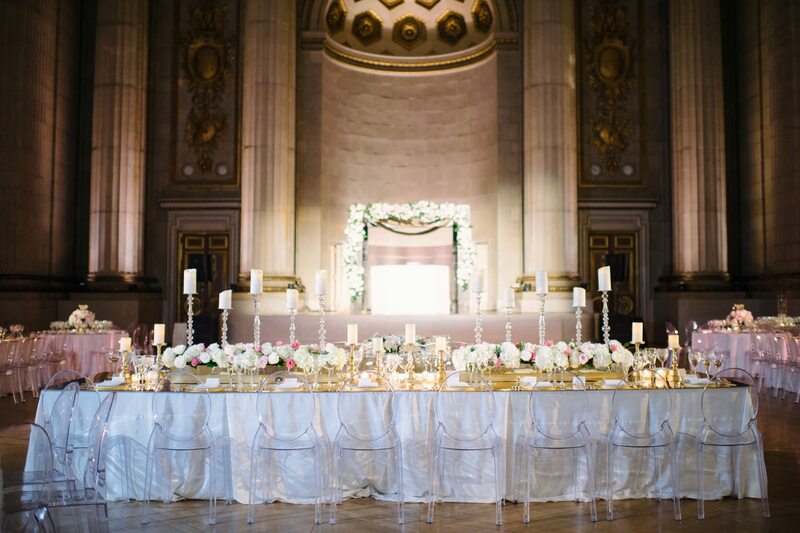 From there, guests were wowed by the space of the Andrew C Mellon Auditorium and took their seats for the Hindu Ceremony, adorned with a beautiful floral arch and pink tie dyed aisle. 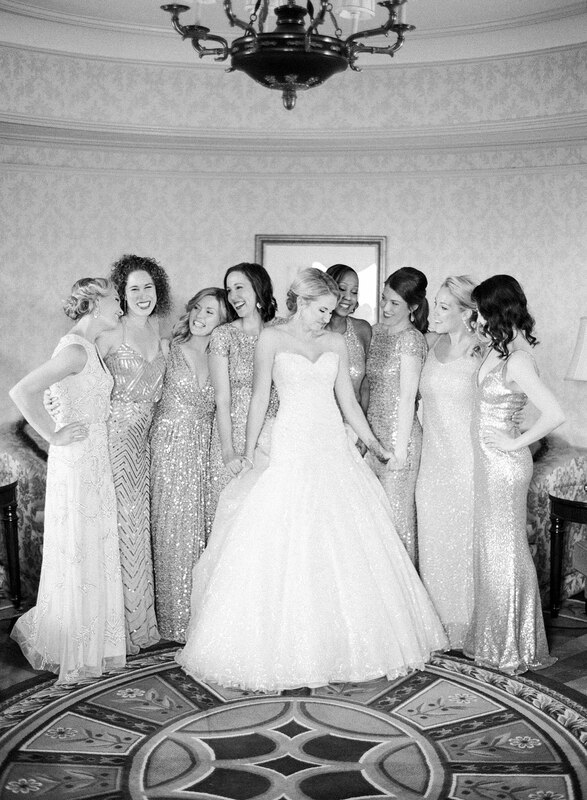 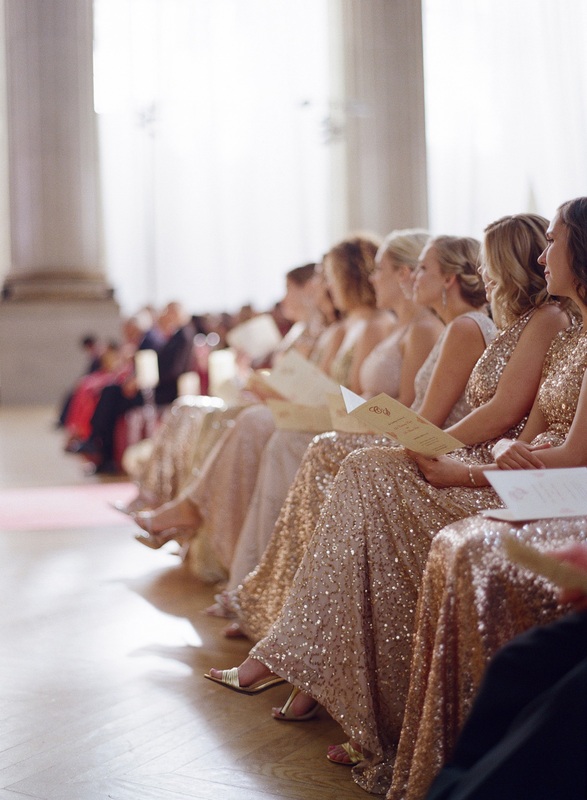 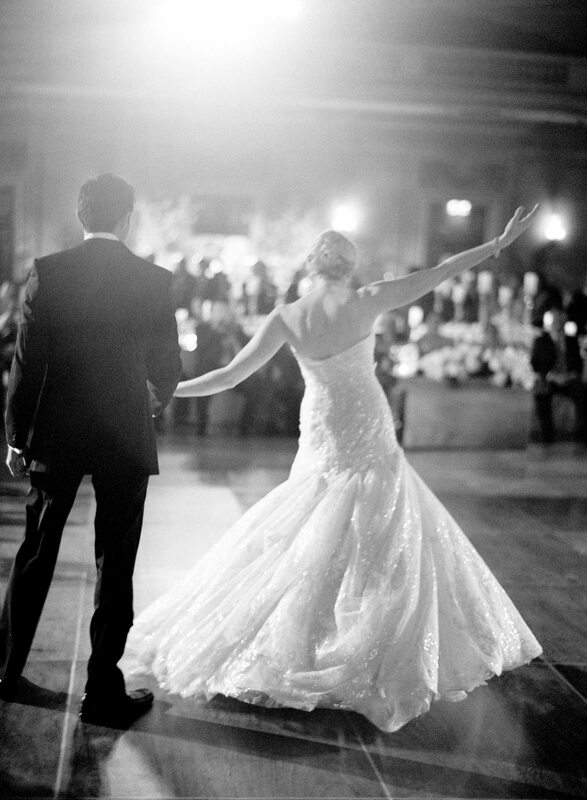 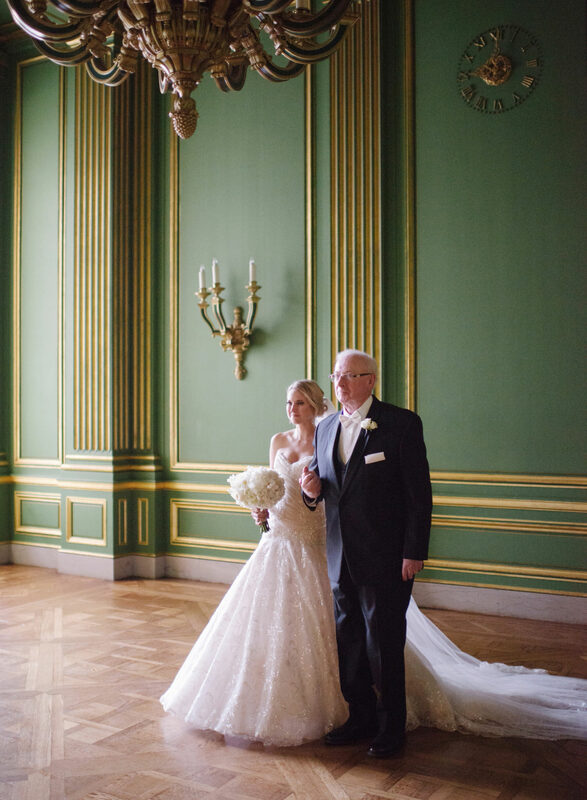 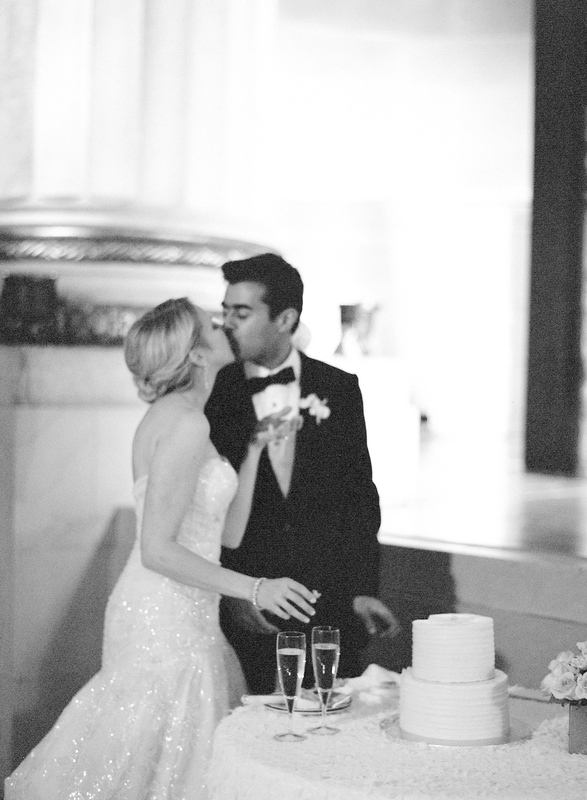 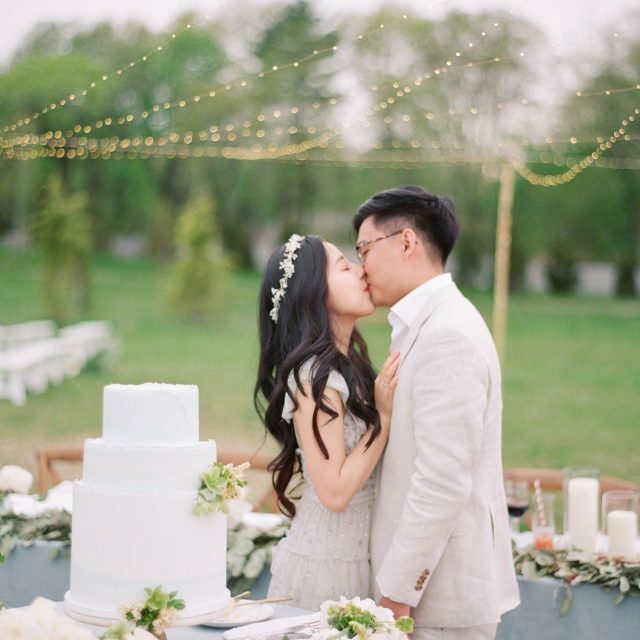 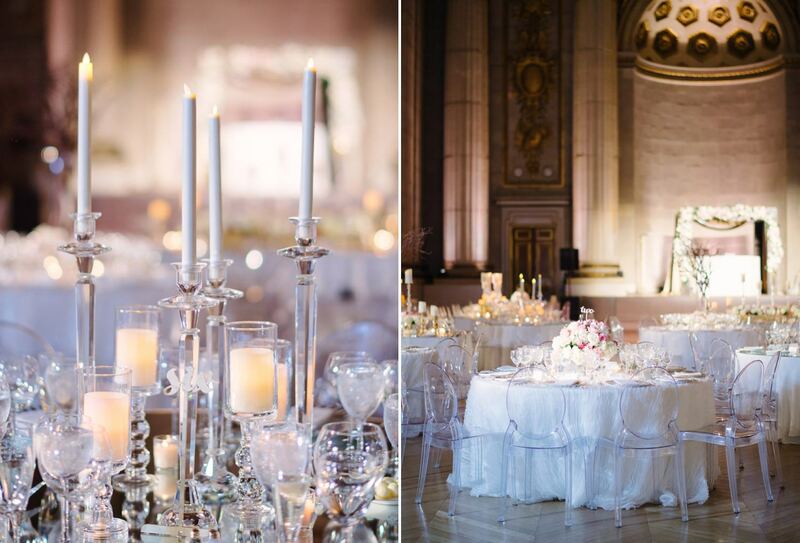 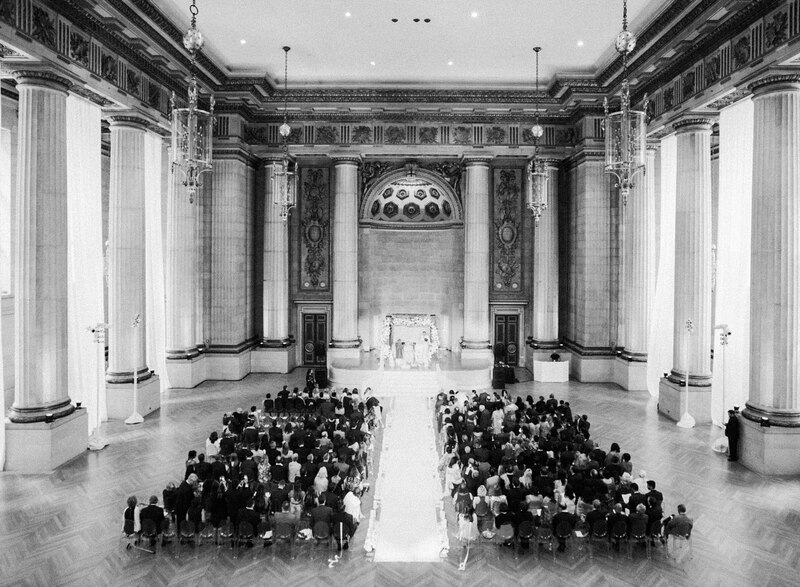 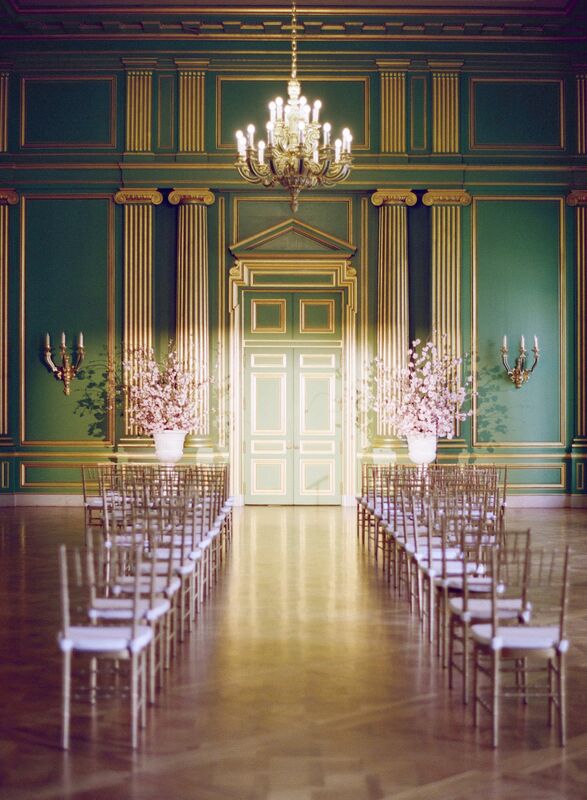 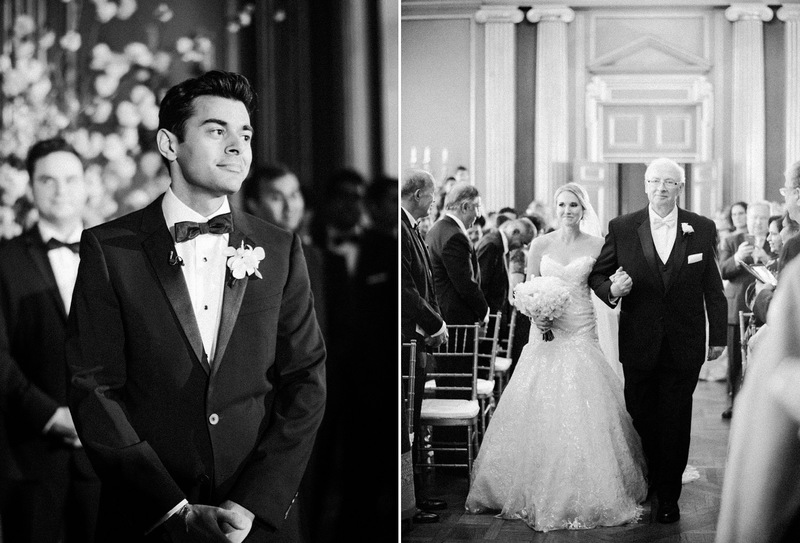 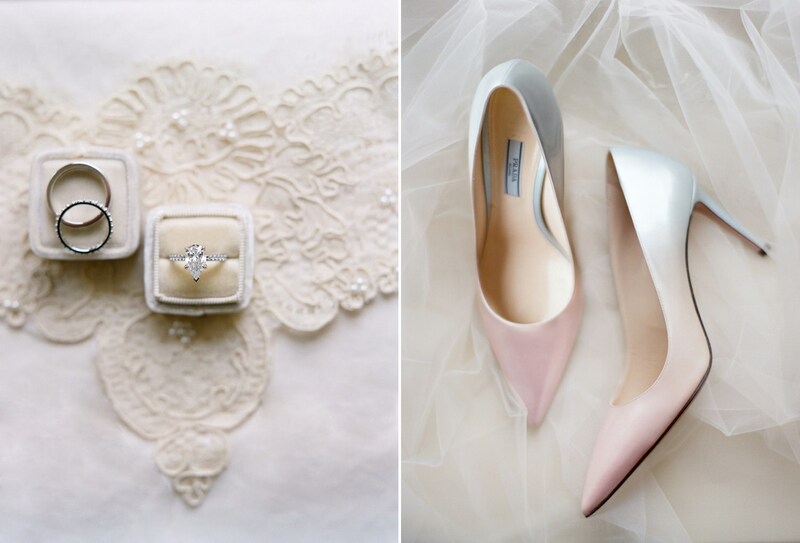 After a brief break for a wardrobe change, Courtney and Shaun had their Christian ceremony in the intimate Green Room of the Mellon Auditorium, which was equally as beautiful. 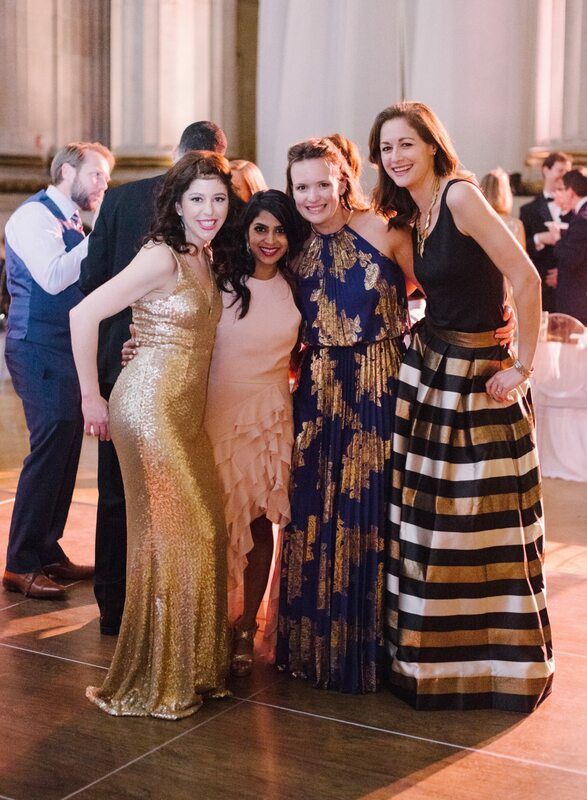 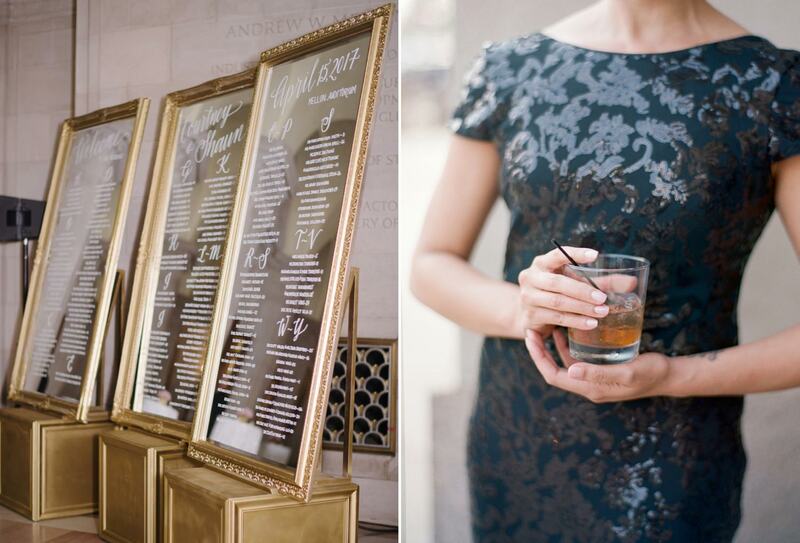 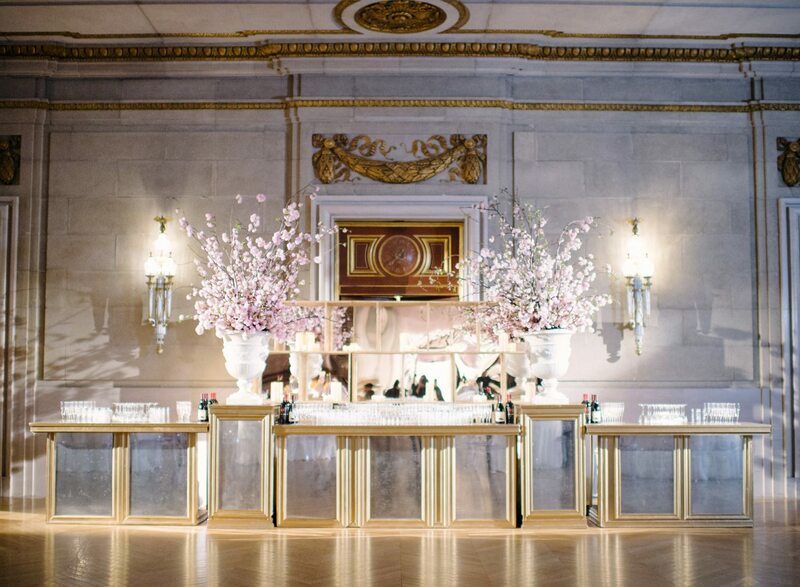 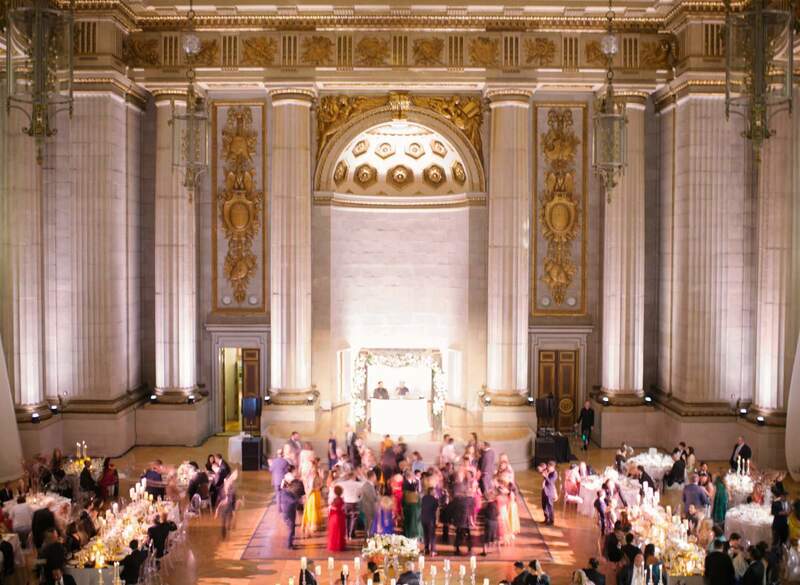 Afterwards, guests explored the rooftop cocktail hour and were wowed once again by the transition into the elegant reception in the Mellon Auditorium for dinner and dancing.